Modern End Unit Trenton Floor Plan with open-concept design in the epicenter of Rochester Hills! This townhome is perfect for entertaining with its many upgrades, including lower level Game Room, Upper Level Loft, Butlers Pantry, with extensive Hardwood Floors on the main level and Kitchen area. 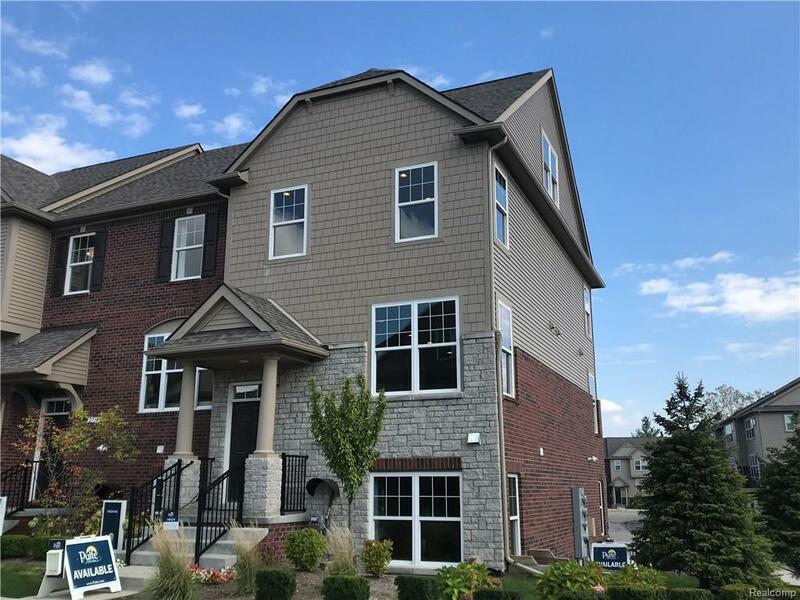 This townhome has many other upgraded features, including built in stainless steel appliances, upgraded cabinets and Quartz countertops throughout! The spacious master bedroom is located on the third level, with large windows, an upgraded on suite bathroom, and dual walk in closets!